I reduced the butter & replaced some of it with coconut oil. I added more whole grains to the overall recipe and cut the amount of chocolate chips in half- Gasp. Before you send the chocolate police after me, I used mini chocolate chips in this recipe instead of the larger chocolate chips. Because the smaller ones disperse more evenly in the cookies ensuring that you get a little chocolate in every bite of each cookie. 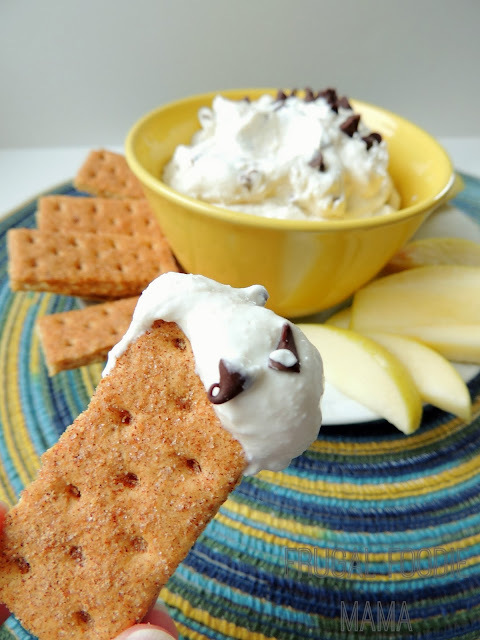 The addition of the pecans adds a little more buttery richness to the recipe as well. Preheat your oven to 350 degrees. Line a large baking sheet with a silicone mat or parchment paper. Set aside. In a large mixing bowl, cream together the butter, coconut oil, brown sugar, and honey. Add in the peanut butter, egg, Greek yogurt, and vanilla. Mix until well combined. Set aside. Process 1 cup of the whole oats in a food processor or blender until it forms an oat flour. In a medium mixing bowl, whisk together the oat flour, white flour, whole wheat flour, baking soda, and salt. Slowly add the flour mixture to the wet mixture beating on low with an hand mixer. Mix until just combined. 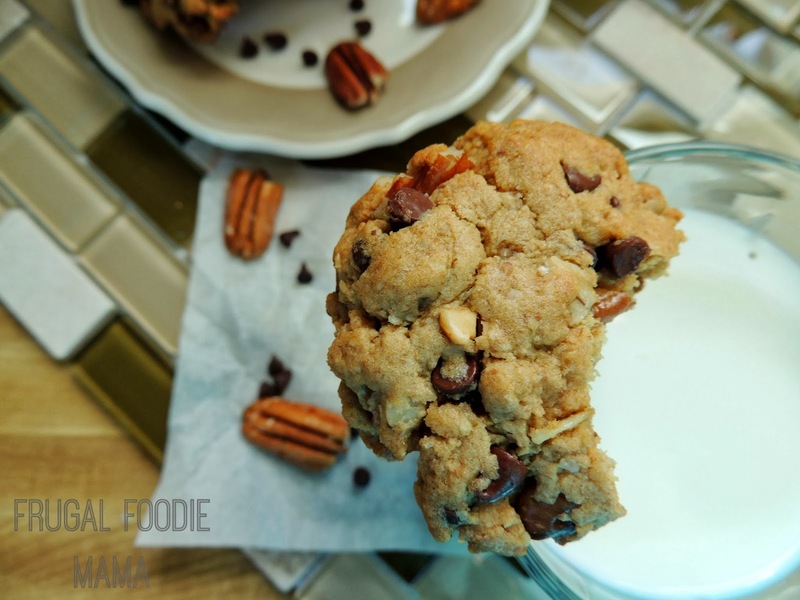 Fold in the mini chocolate chips, the chopped pecans, and the remaining 1/2 cup of whole oats into the cookie batter. Drop by rounded tablespoonfuls onto the prepared baking sheet. Flatten slightly with the palm of your hand. Allow the cookies to cool on the baking sheet for a few minutes and then transfer to a wire rack to cool completely. I am not going to lie to you all here. 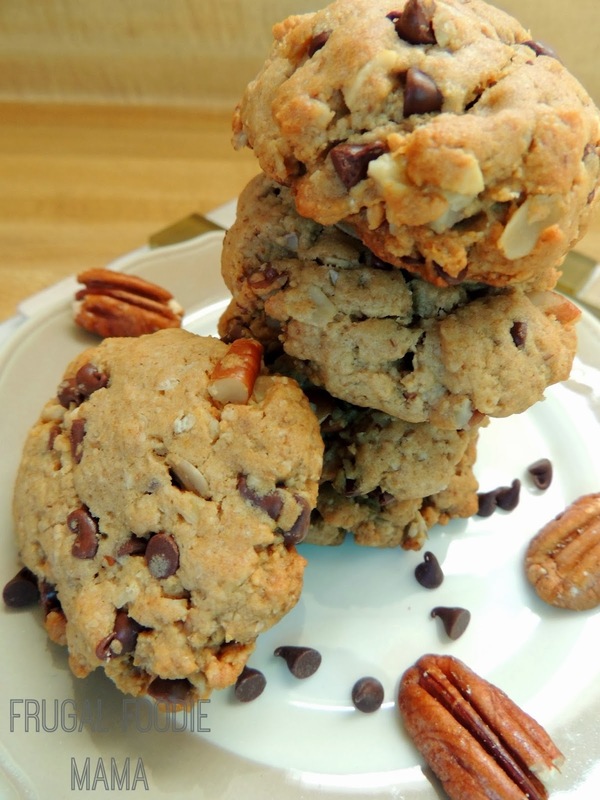 If you are expecting these cookies to taste like the full-on fat, non-whole grain version, you will be disappointed. 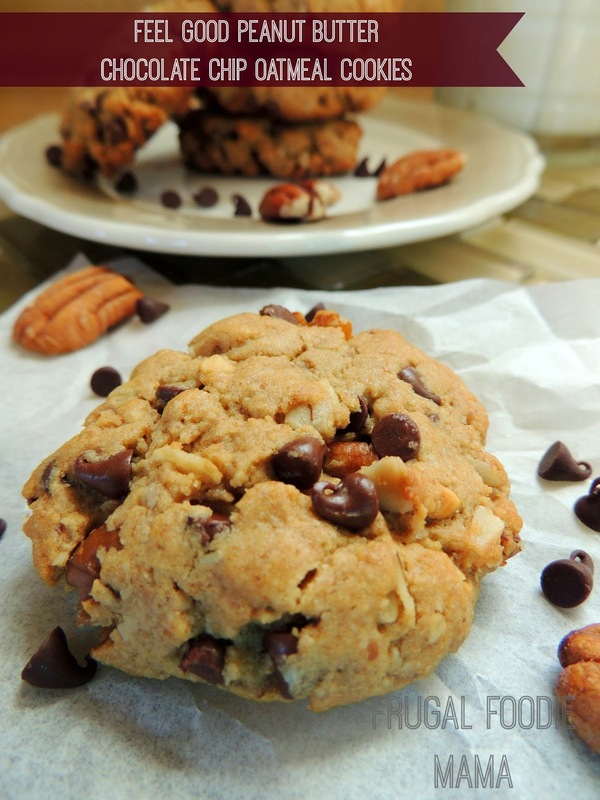 If you like a good Kashi-style cookie, then you will love this homemade version! 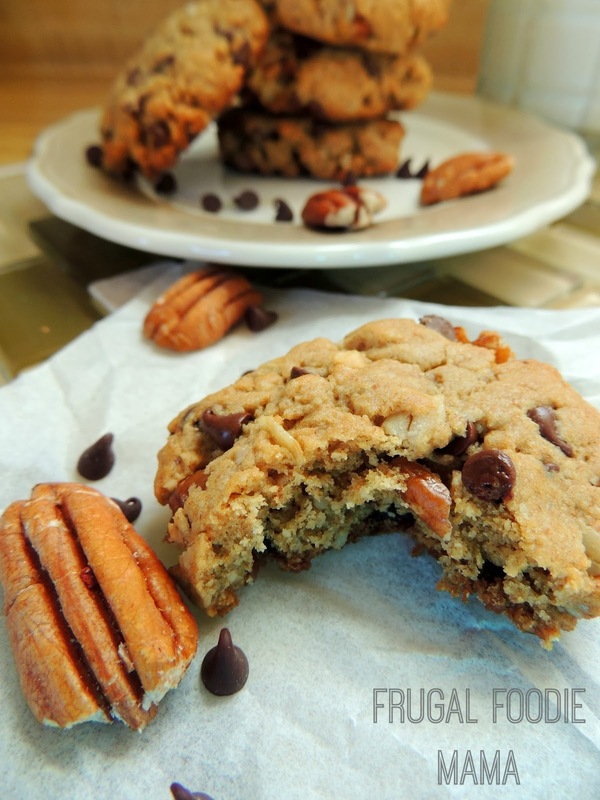 They are thick, soft peanut buttery cookies with plenty of rich, crunchy pecans and little gooey chocolate chips in each bite. I loved these. They satisfied my fresh baked cookie craving without all the guilt. And surprisingly, my husband loved them as well! Well... he wasn't sold on them. But in defense of these delicious cookies, he isn't a big fan of any kind of oatmeal cookie in general.